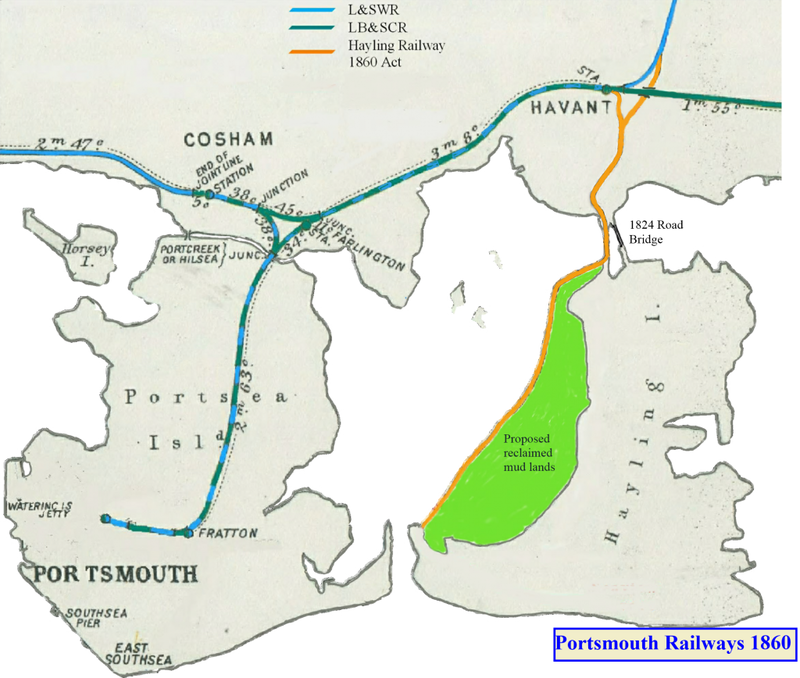 The 1860 Act of Parliament, authorising the construction of the Havant to Hayling Island branch line included the reclamation of 1000 acres of mud land by the construction of the railway embankment in Langstone Harbour. 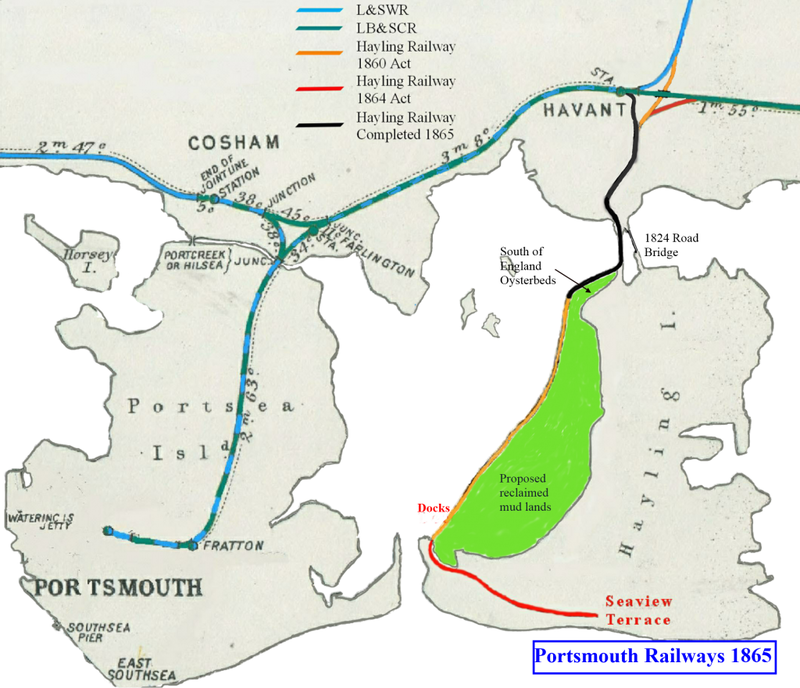 Mr Robert Hume (a prominent supporter of the branch line) bought the mud lands in 1863 from the representatives of William Padwick (The Lord of the Manor) and entered into an agreement to lease 300 acres to the South of England Oyster Company. An important part of this agreement was that the railway would maintain the embankment and sluices. At the time, this seemed perfectly reasonable because the railway would have needed to do this to protect the railway it was building. Things were not going too well for the railway company due to problems with the railway embankment across Langstone Harbour which led to this work being stopped with only 176 yds completed. Francis Fuller proposed a bill in 1866 which would lead to the abandonment of the off-shore route and replace it with one that hugged the western coastline of Hayling Island. 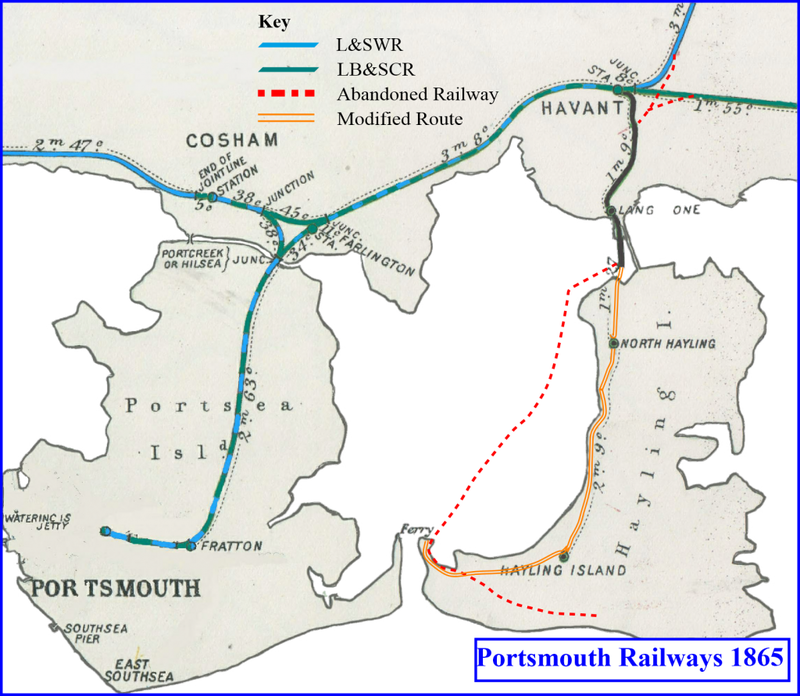 This Bill was immediately objected to by the South of England Oyster Company on the grounds that the 1863 agreement with the railway would no longer be fulfilled. The Bill was passed into law with the Approval of the Act of Parliament in Aug 1867. Although the dispute was settled, the issue was raised again and not finally settled until 1874. I have the original document detailing the 1874 closure and will add this later.